Brothers Connor and Shane Noetzel put their experience playing in bands together through high school and college to great use. While in college, Connor befriended Brian Gallio , bonding over kindred love of music. 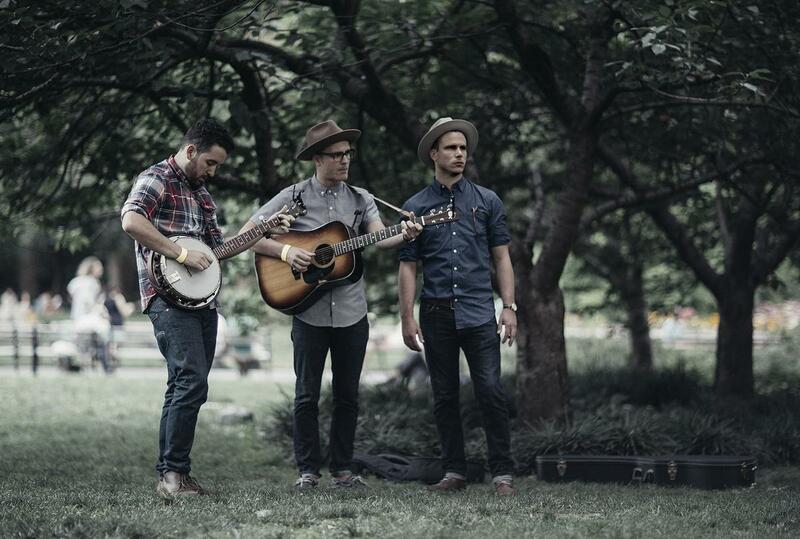 After graduation the three burgeoning troubadours moved in together – with Connor as lead vocalist and main songwriter, Shane on lead guitar, and Brian on banjo, acoustic guitar, and piano – to focus on cultivating their craft. After releasing their debut EP “No One Will Know” in May of 2013 the trio went on to perform those new songs at iconic New York spots like The Bitter End, The Living Room, Pianos, and Rockwood Music Hall. The result is The Afternoon Edition. The New York based roots trio echo their shared heroes throughout the 10 cuts on their full-length debut “Fallow.” Shades of The Band, Crosby Stills Nash and Young, The Byrds, even contemporaries like Beck, The Avett Brothers and My Morning Jacket are heard throughout. From the yearning, Sea Change-esque opener “Let You In” to the sunny ease of the album closer ‘The World Will Beat A Path,’ on display is a passion for great 60’s and 70’s folk and country songwriting backed by spirited musicianship.